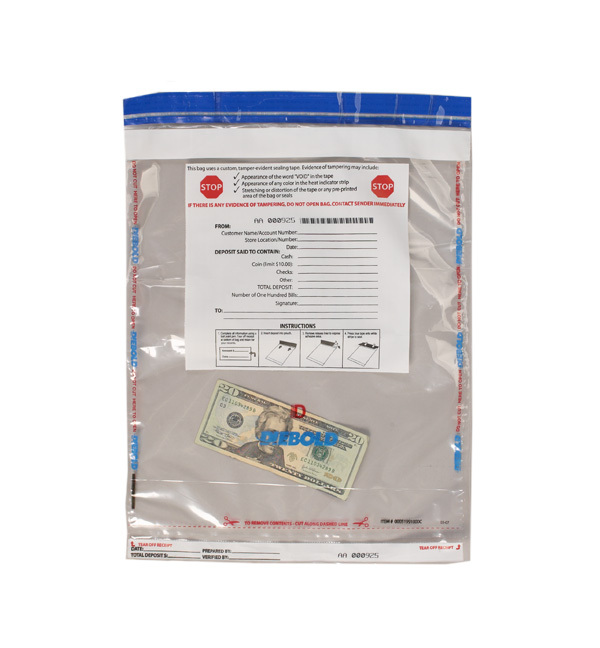 Provide your customers with excellent security with tamper evident cash bags from DieboldDirect. 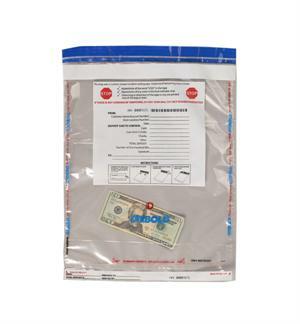 The convenient, clear plastic tamper-evident deposit bags allow for organizing checks, cash, coin and receipts. The self-sealing adhesive closure has security features that surpass bank requirements of tampering evidence. These cash bags are sequential numbered and bar coded for easy scanning and tracking. Customize your bag for quick identification.